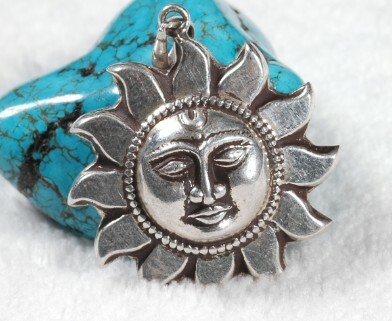 Handmade Tibetan Sungod Pendant. This pendant is made from sterling. The front of the pendant is decorated with Sungod. The size of the pendant is 2.8*2.8cm, weight: 15g.